Ramblers were a very popular American style of architecture in the 1950s and 1960s. Many families moving to the suburbs at the time found them appealing because they were easy to build and cost effective. In more recent years, however, people began to favor grander looking, two story homes. Housing styles are always falling in and out of favor just like fashion trends. Today, it seems ramblers are making a comeback in Louisville and elsewhere. There are many reasons the rambler is making a comeback. Many home buyers in today's market are aging baby boomers and first time home buyers. Both young and old like the idea of a rambler because they can do all their living on one floor without the worry of stairs for old bodies or tumbling toddlers. Ramblers also offer more affordable options that can provide more bang for your buck. Another reason people are returning to ramblers is the fact that many of them were, like we stated earlier, built in the 50s and 60s. This means they were often built on larger lots. 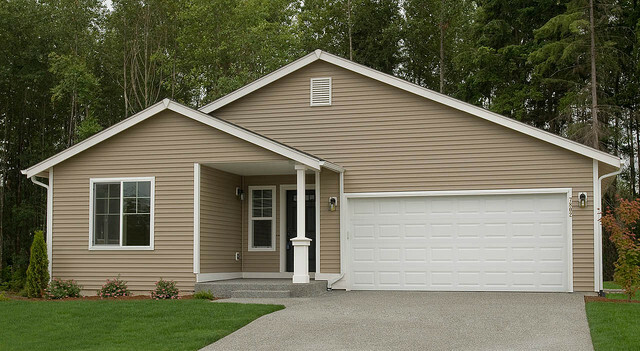 The large homes you see built today are often constructed on much smaller lots. Buyers are beginning to express an interest in larger yards with mature vegetation.